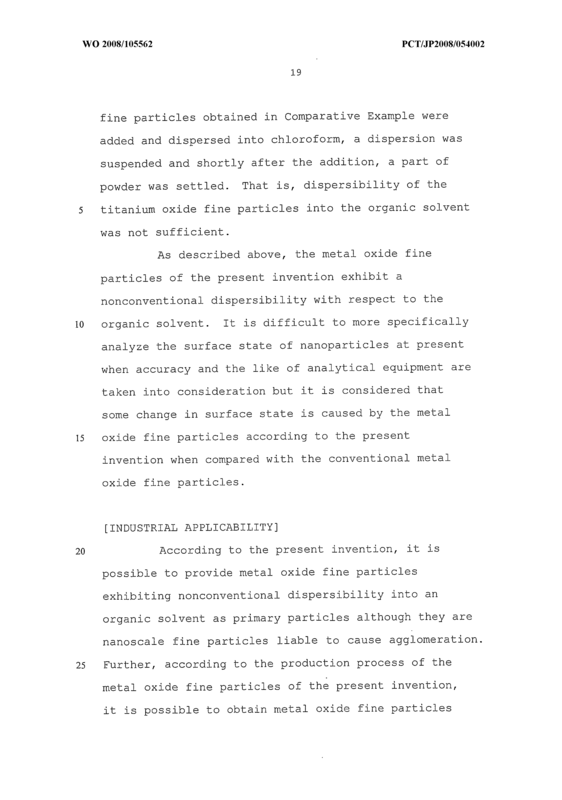 In order to provide nanoscale metal oxide fine particles having an excellent dispersibility in an organic solvent, metal oxide fine particles are obtained by heating and reacting metal halide and metal alkoxide in the presence of phosphine oxide. 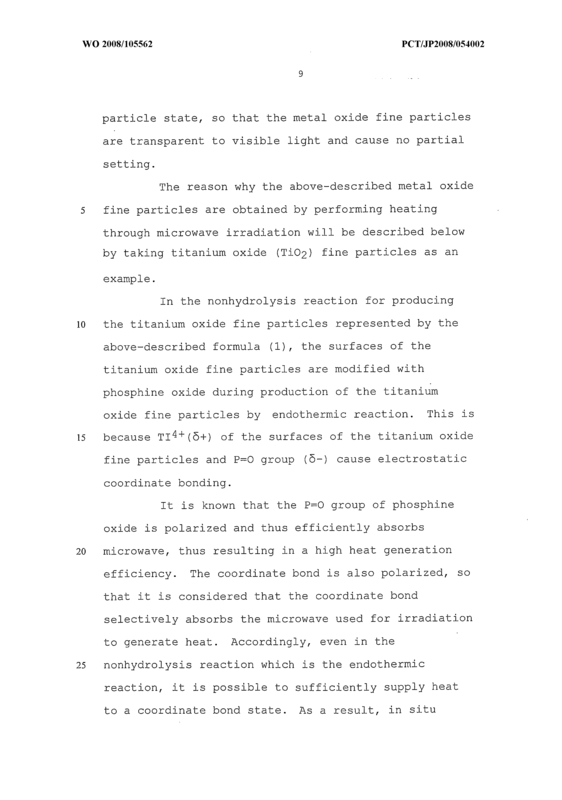 The heating is performed by microwave irradiation. 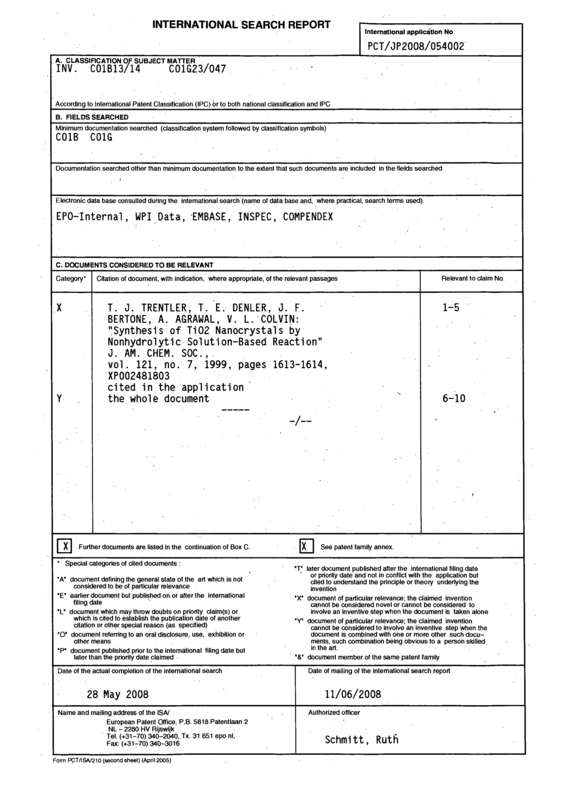 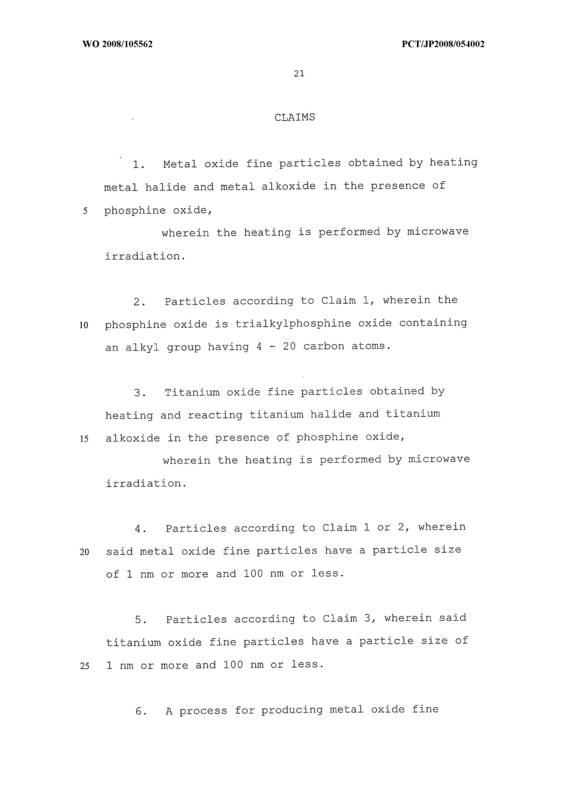 Metal oxide fine particles obtained by heating metal halide and metal alkoxide in the presence of phosphine oxide, wherein the heating is performed by microwave irradiation. 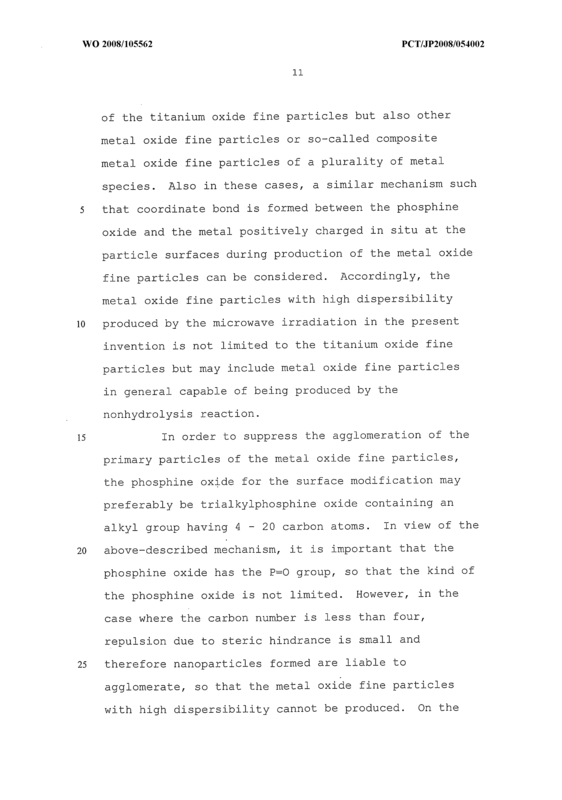 Particles according to Claim 1, wherein the phosphine oxide is trialkylphosphine oxide containing an alkyl group having 4 - 20 carbon atoms. 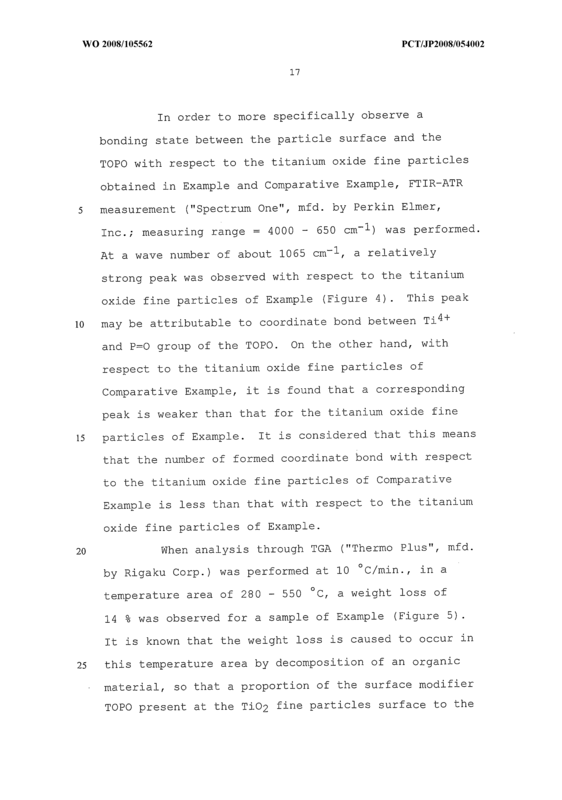 Titanium oxide fine particles obtained by- heating and reacting titanium halide and titanium alkoxide in the presence of phosphine oxide, wherein the heating is performed by microwave irradiation. 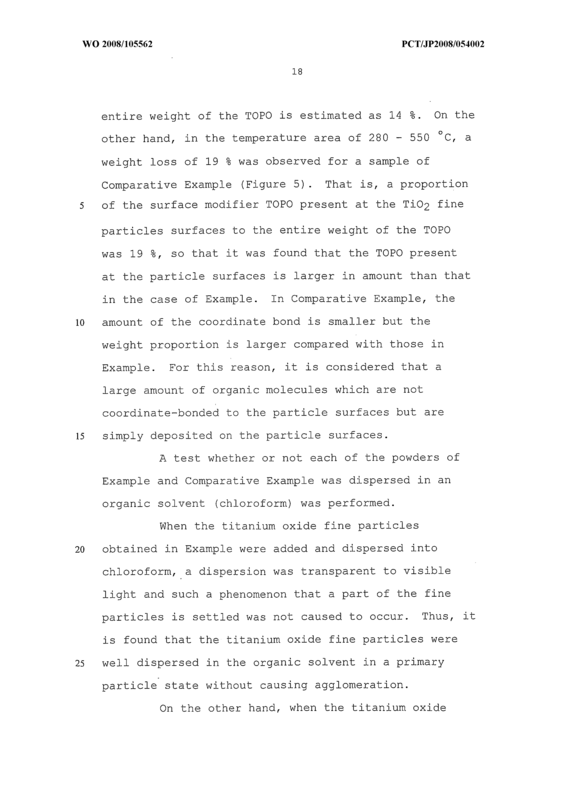 Particles according to Claim 1 or 2, wherein said metal oxide fine particles have a particle size of 1 ran or more and 100 ran or less. 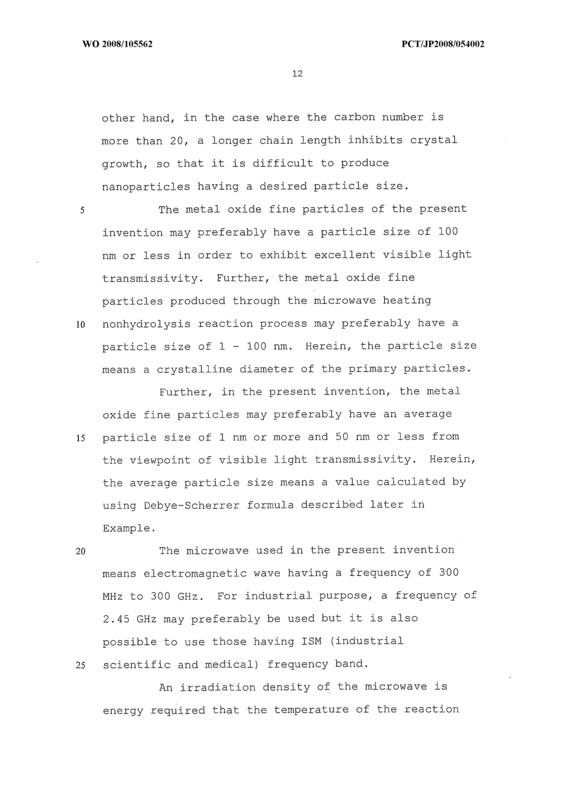 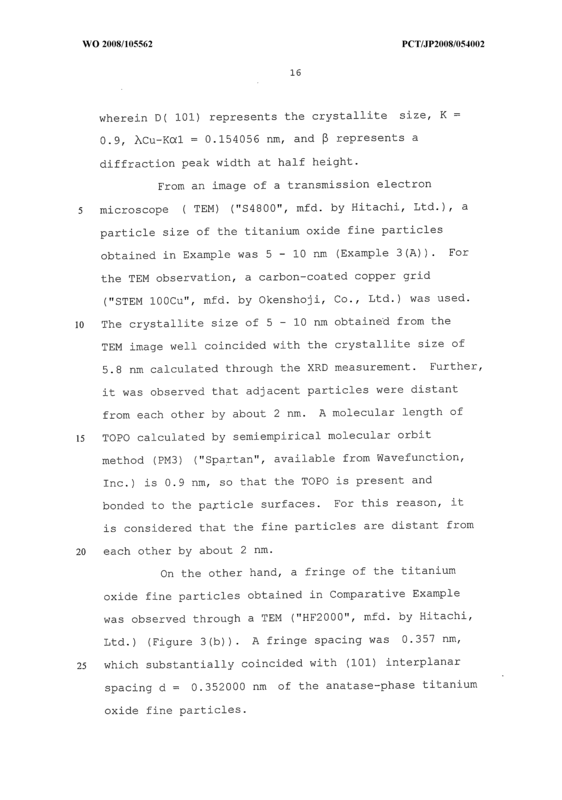 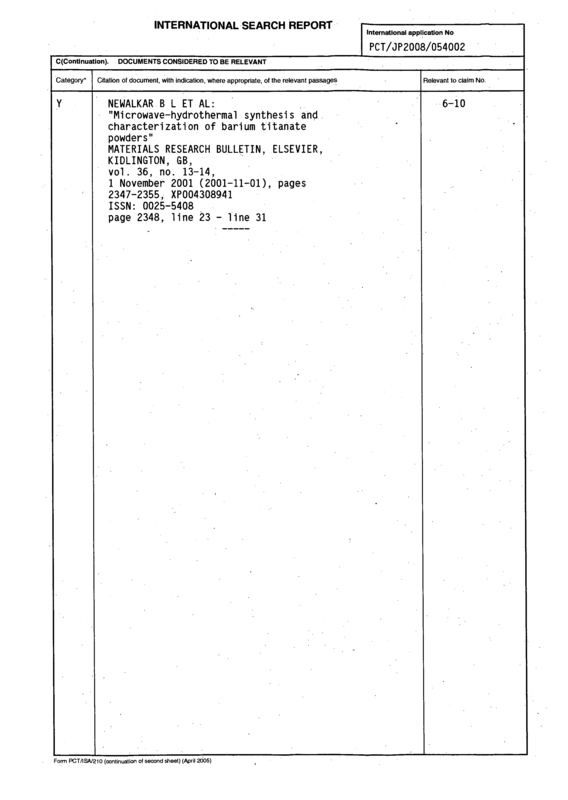 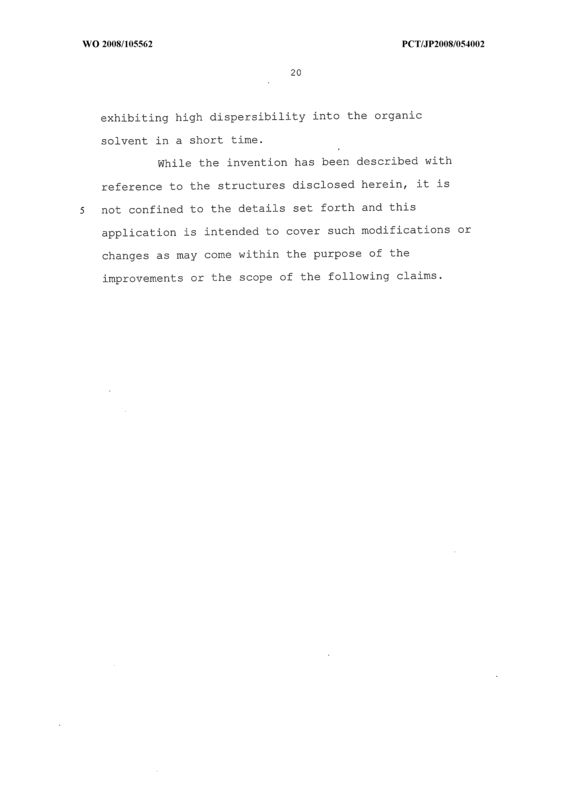 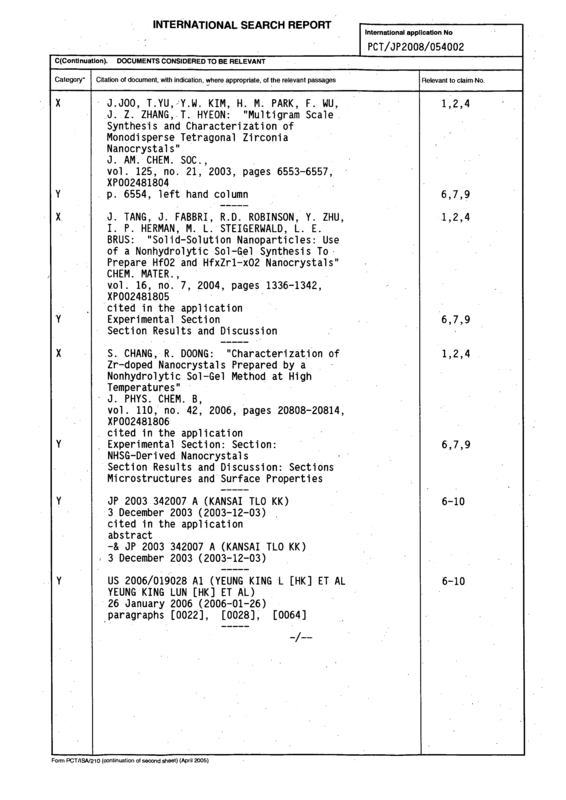 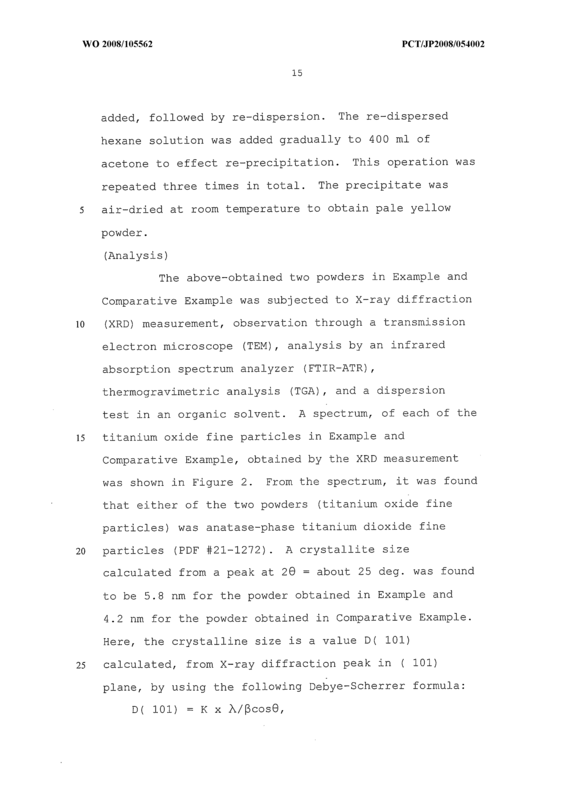 Particles according to Claim 3, wherein said titanium oxide fine particles have a particle size of 1 nm or more and 100 nm or less. 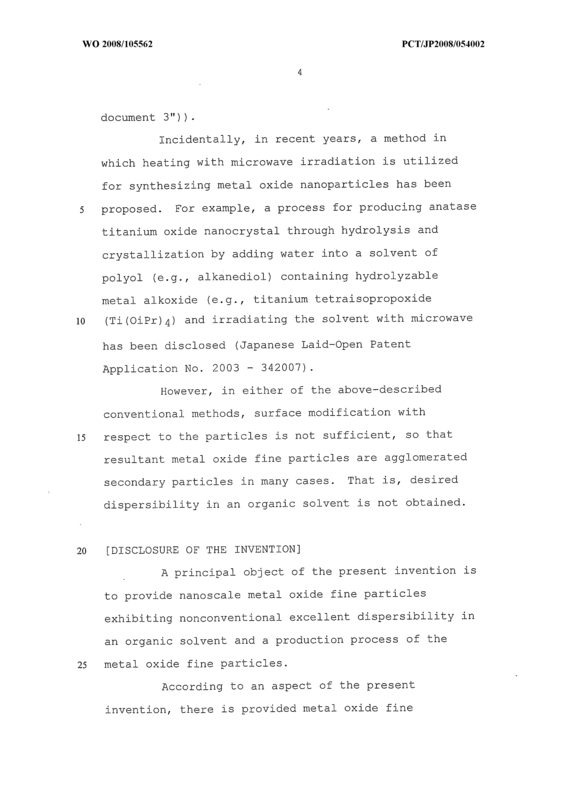 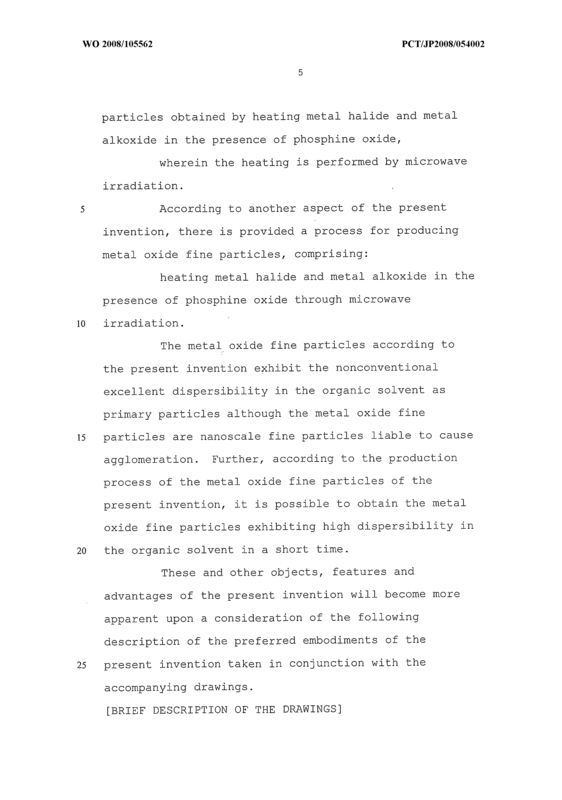 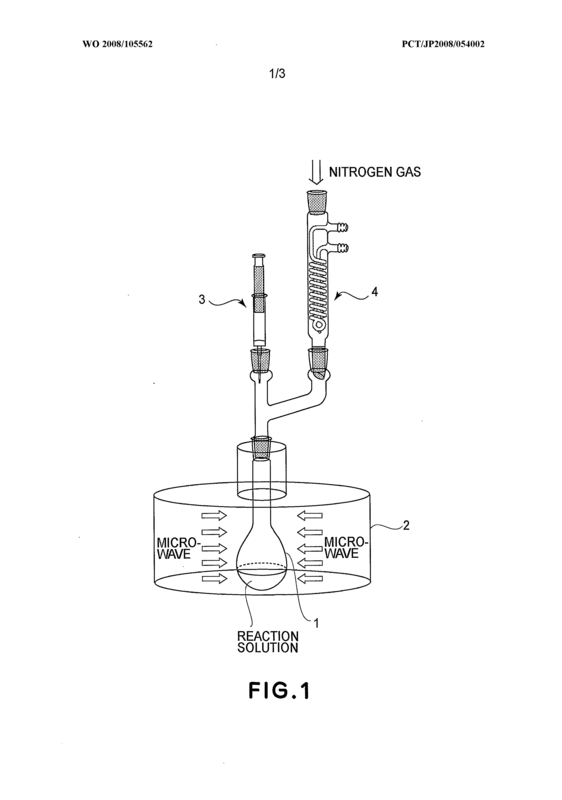 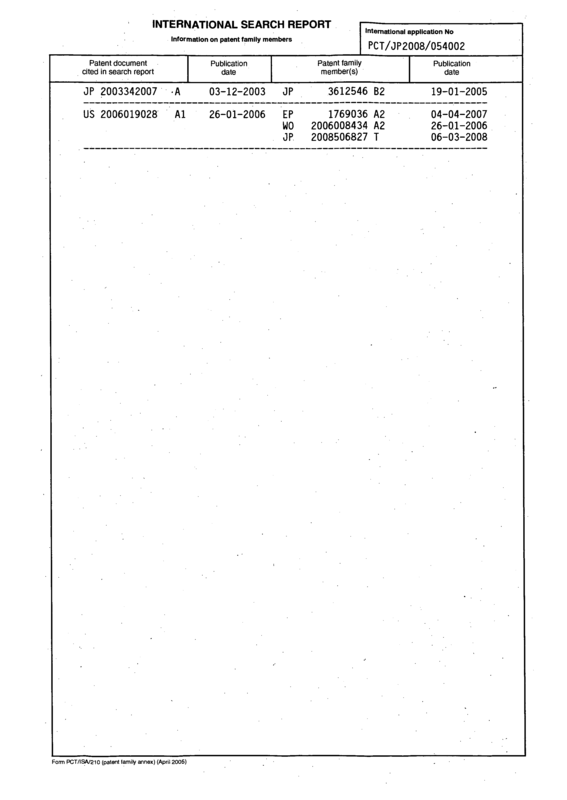 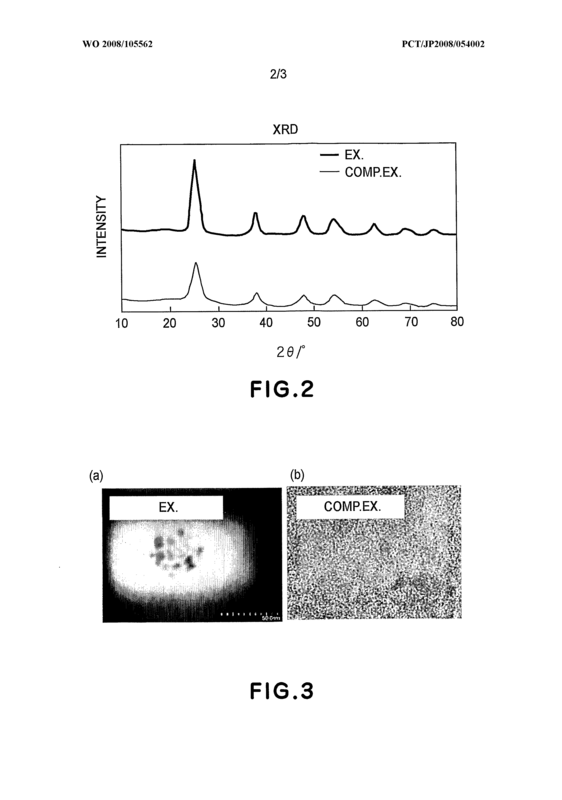 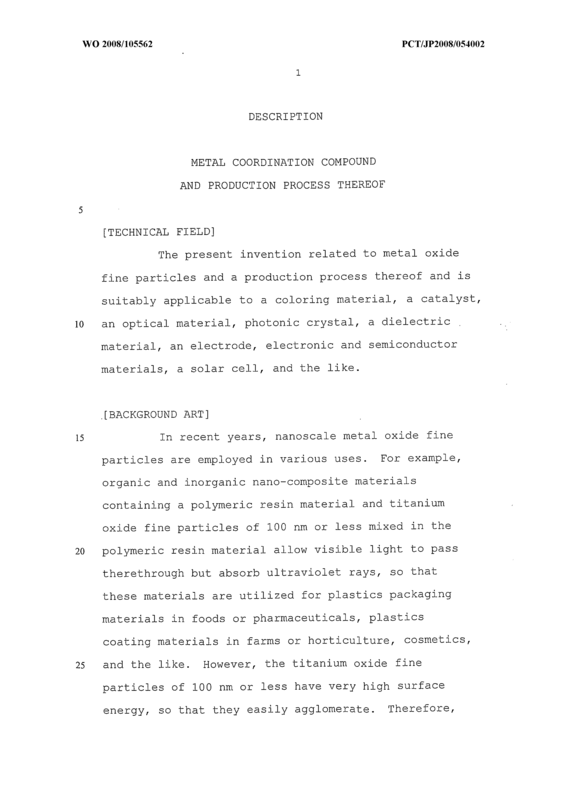 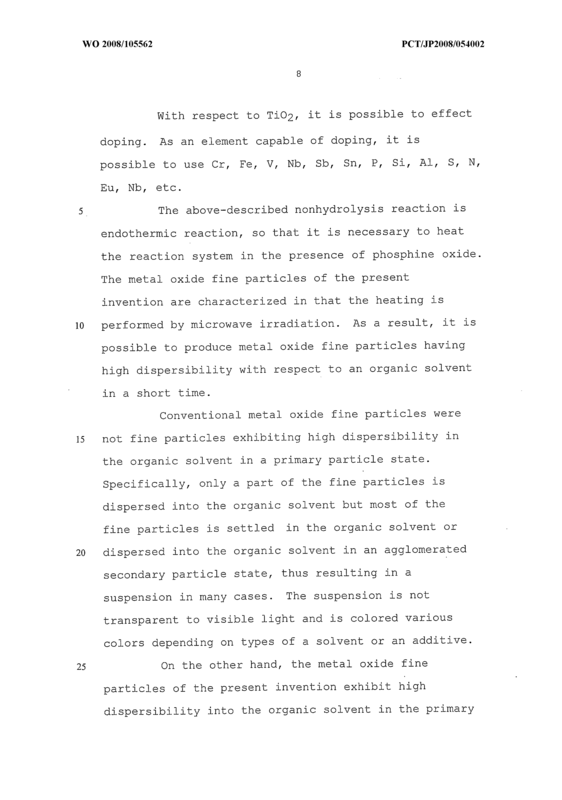 A process for producing metal oxide fine particles, comprising: heating metal halide and metal alkoxide in the presence of phosphine oxide through microwave irradiation. 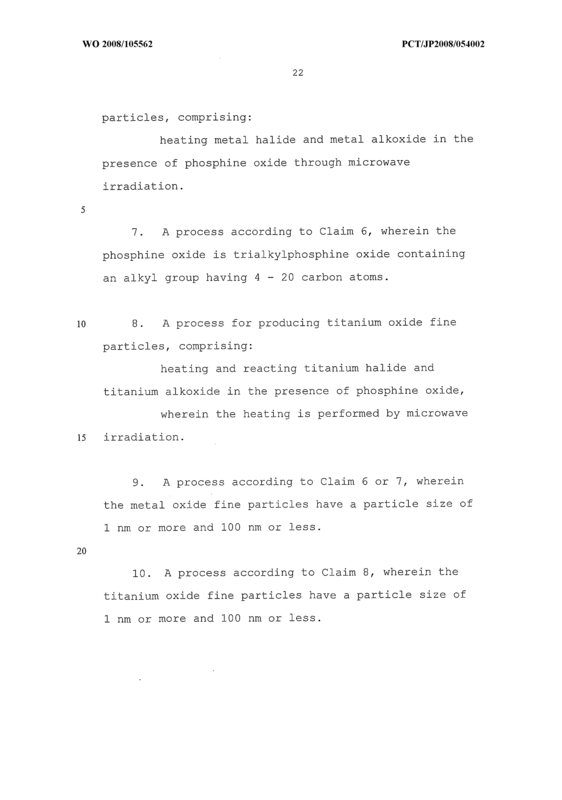 A process according to Claim 6, wherein the phosphine oxide is trialkylphosphine oxide containing an alkyl group having 4 - 20 carbon atoms. 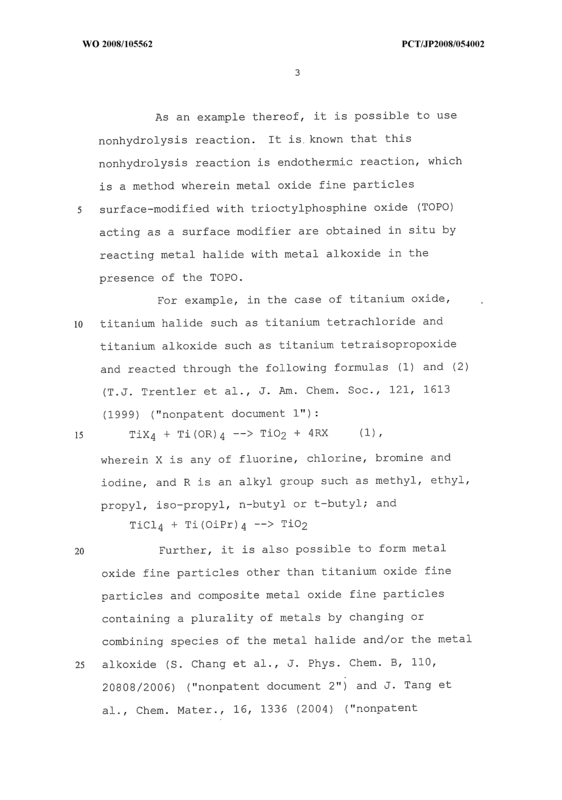 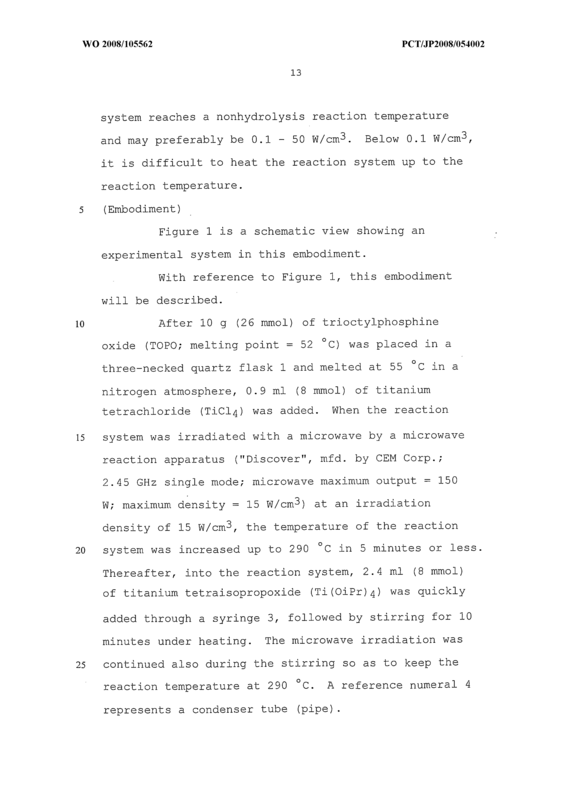 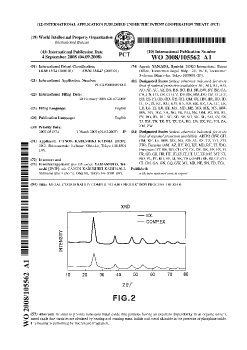 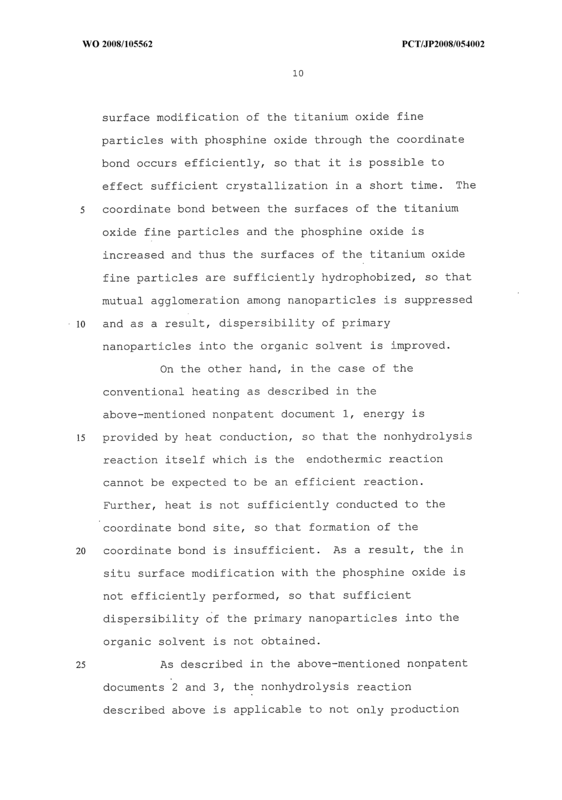 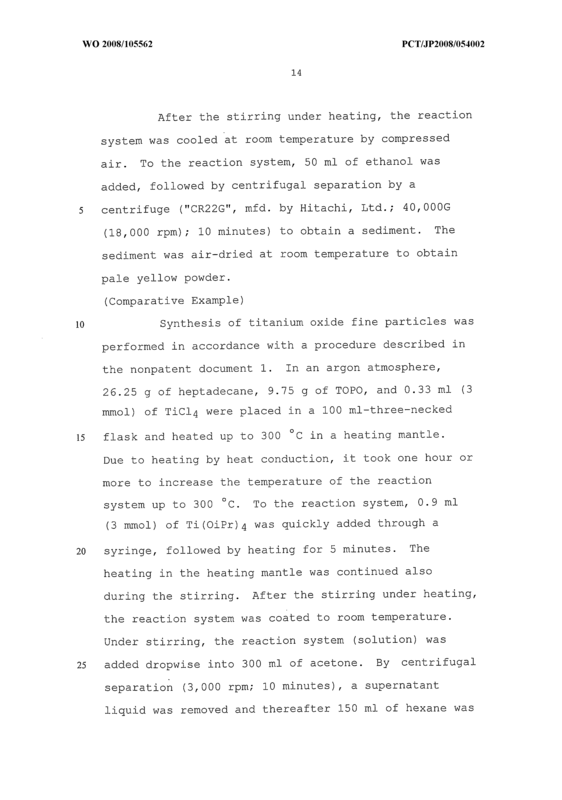 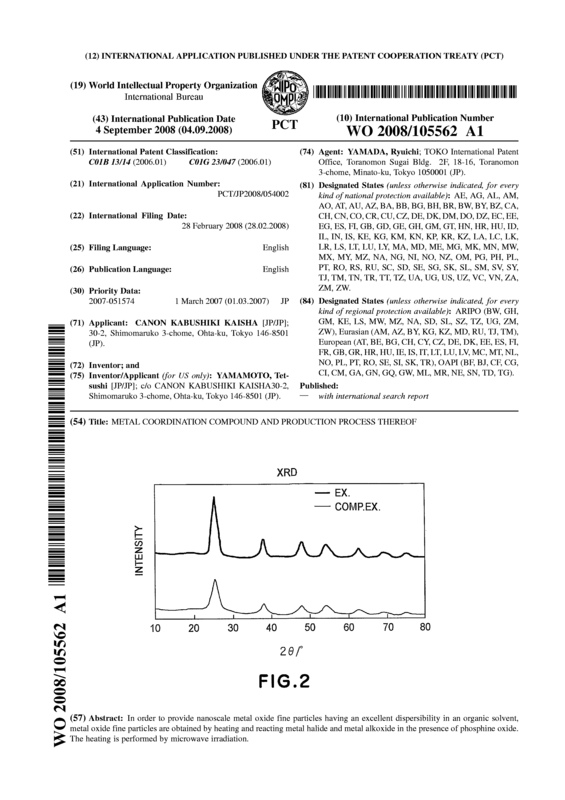 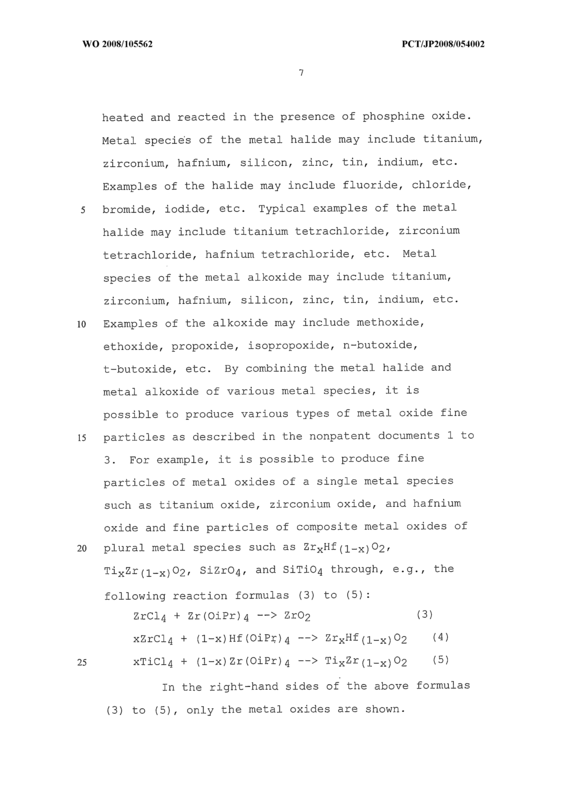 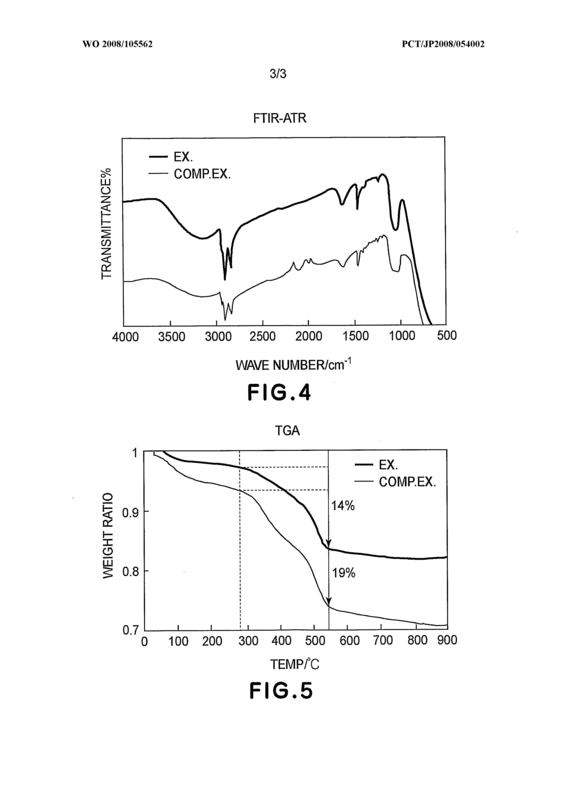 A process for producing titanium oxide fine particles, comprising: heating and reacting titanium halide and titanium alkoxide in the presence of phosphine oxide, wherein the heating is performed by microwave irradiation. 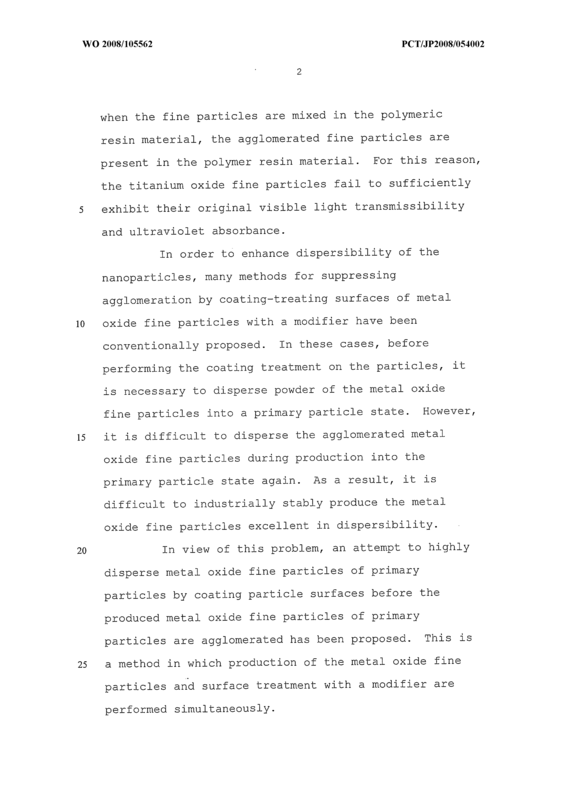 A process according to Claim β or 7, wherein the metal oxide fine particles have a particle size of 1 nm or more and 100 nm or less. 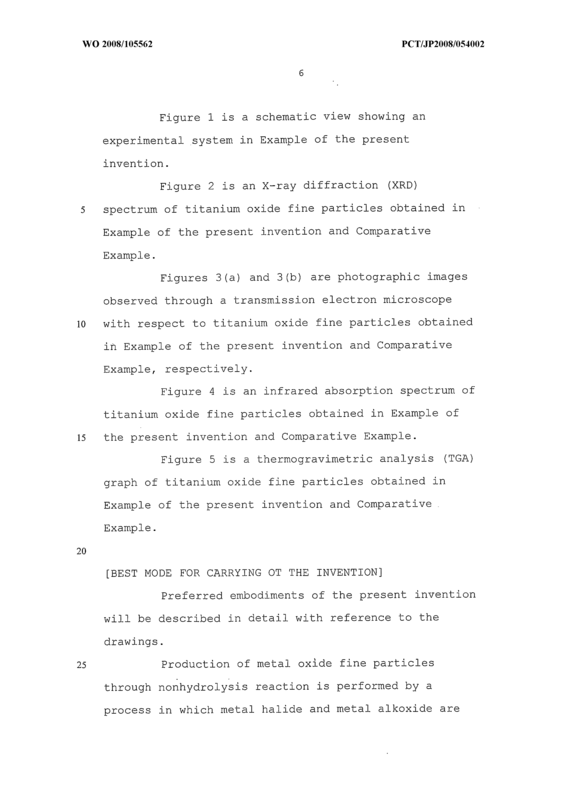 A process according to Claim 8, wherein the titanium oxide fine particles have a particle size of 1 nm or more and 100 nm or less.